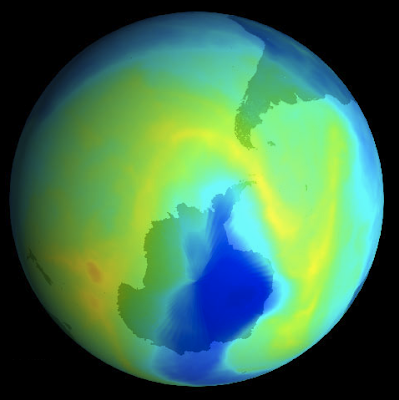 The ozone threat has been hyped to be largely a result of consumer based products which produce CFCs that get released into the atmosphere. 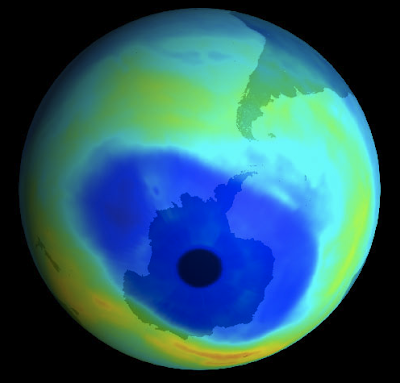 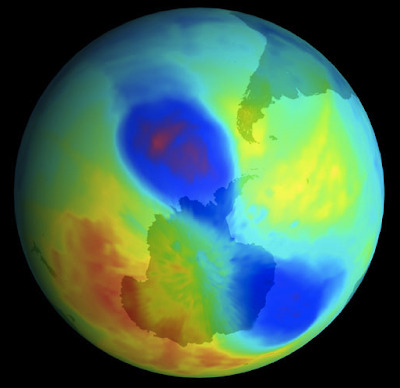 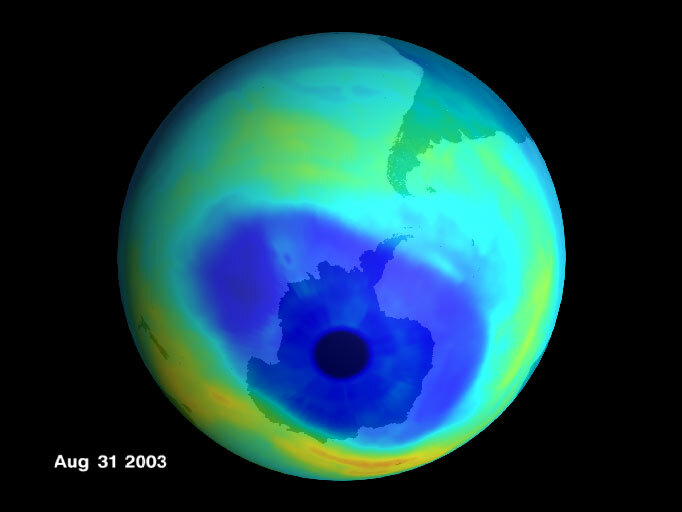 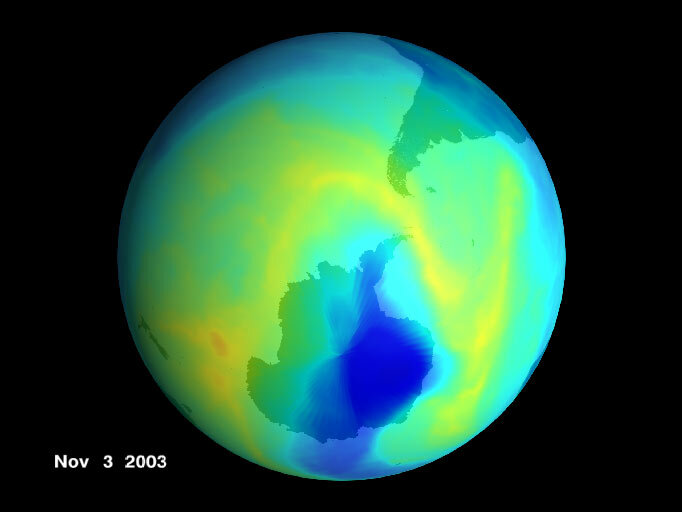 While this may indeed play a part, scientists still scratch their heads as the ozone hole continues to defy their predictions as it shrinks and grows with the seasons and over the years. 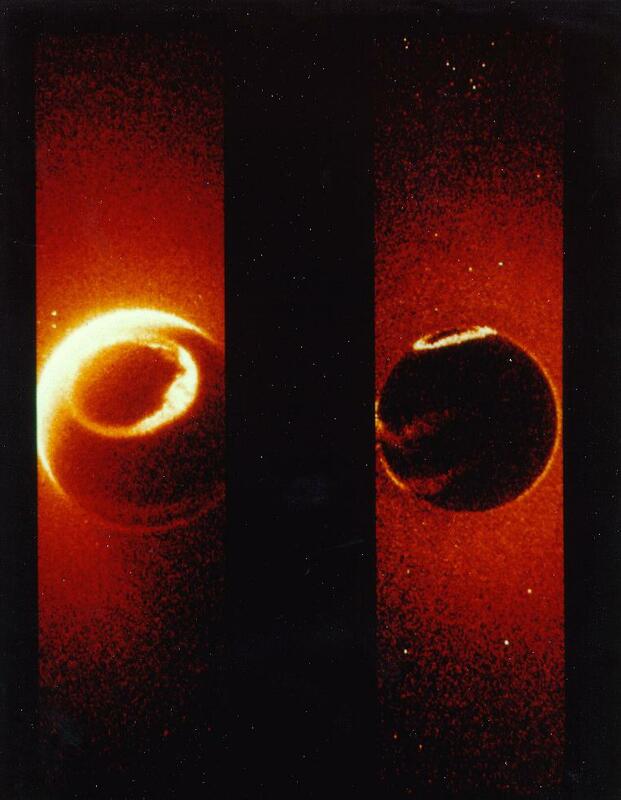 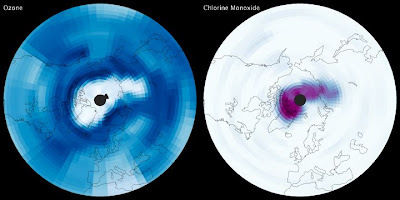 There may be another explanation, however, as there are cyclical fluctuations of ion expulsions emanating from the polar regions which would explain how the lighter ozone is seasonally repelled from both of the earth's polar extremities (see ion cleft fountain).